*$5000 Seller Incentive towards Buyers Closing Cost at asking Price!!! SELLER MOTIVATED TO SELL!! ALL OFFERS ARE WELCOMED!!! * Enjoy this beautiful 5 BDRM/4 BA two-story home situated on an oversized lot with pond views in both front and rear located in the desirable Tapestry Community. The large foyer welcomes you into the ample bonus room/den and dining room each flooded with natural light. 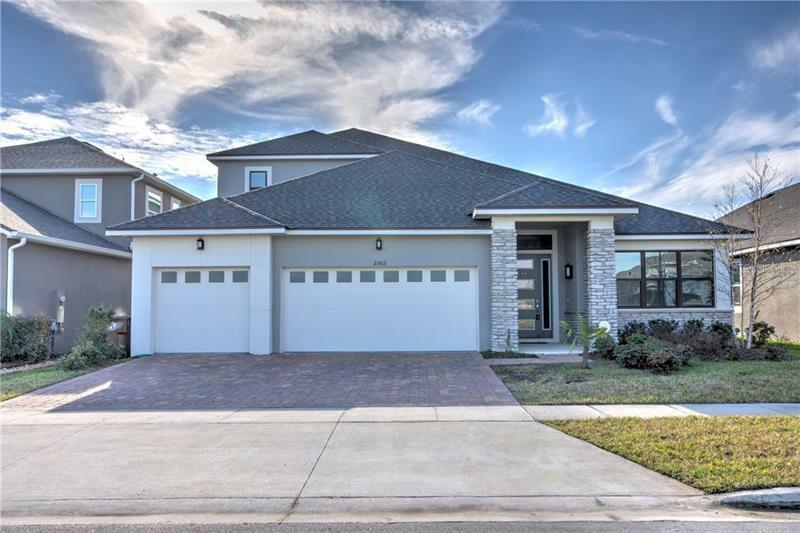 Next up is the gourmet kitchen featuring granite counter tops large center island and stainless appliances overlooking the spacious living area with sliding glass doors leading to the screened in porch overlooking the rear pond perfect for entertaining family and friends. Off the living area you'll find the master bedroom complete with his and her vanities and separate shower and Jacuzzi tub. The split floor plan offers 3 more BDRMs and another full bath downstairs. Upstairs you'll find a huge loft area a fifth bedroom and another full bath. Conveniently located in Kissimmee near Orlando FL Outlet Malls and Theme Park Attraction and more! Enjoy!